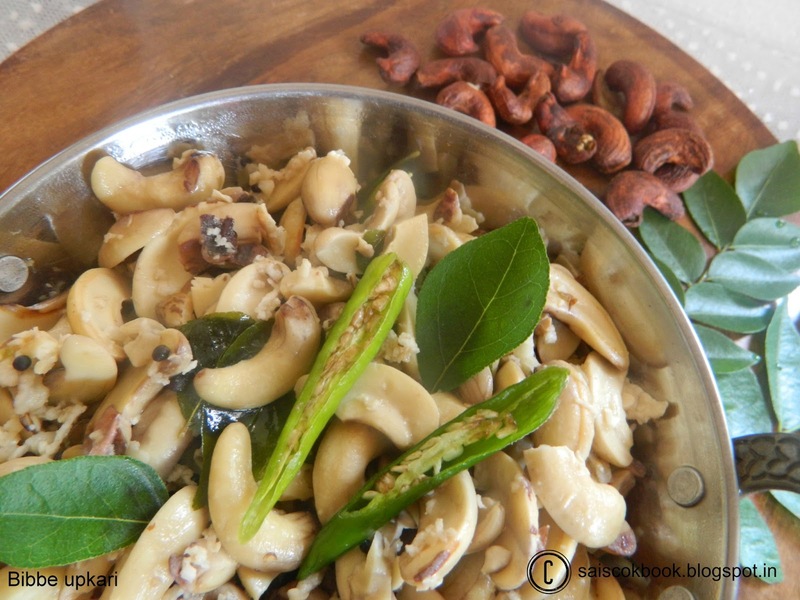 Tender Cashewnuts are easily available in South India from the month of Feb until April.We GSB’s prepare different types of dishes with it ,but the most famous is Bibbe upkari.Bibbe or bibbo means tender cashewnuts. It has a very good and rich taste.We also dry it in the sun for 3-4 days and store it for a year and use it during auspicious occasions or as and when we want.You may also add potato or gherkins(tendle) as an accompaniment with this upkari,but it tastes good just like that.Normally gherkins is added to increase the quantity since adding only tender cashewnuts is pretty expensive. Tastewise all 3 are good.The best combo is puri and bibbe upkari. 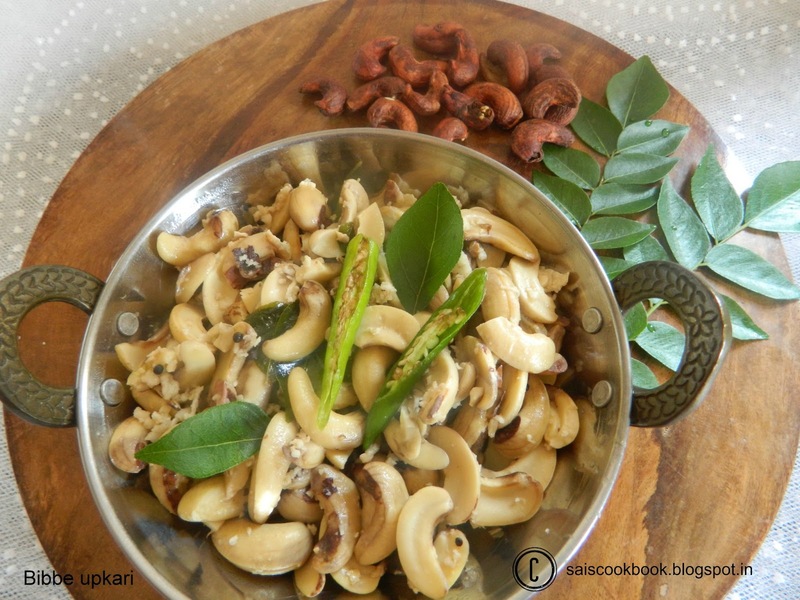 Soak the tender Cashewnuts in hot water overnight,next morning peel it,and separate it into two. Wash it and keep it aside in a colander. Heat oil in pan,splutter mustard seeds,add curry leaves followed by hing powder. Add Cashewnuts,green chillies,salt to taste and a pinch of sugar. Add 1 1/2 cups of water,take a boil,close the lid and keep it simmer and cook it until it gets cooked checking and stirring it in between. When done ,lastly add grated coconut and give it a stir for a minute. 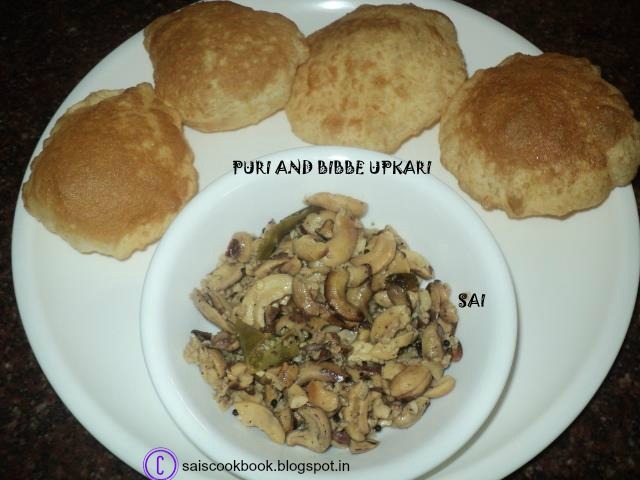 Serve it hot with the main course or with puri.